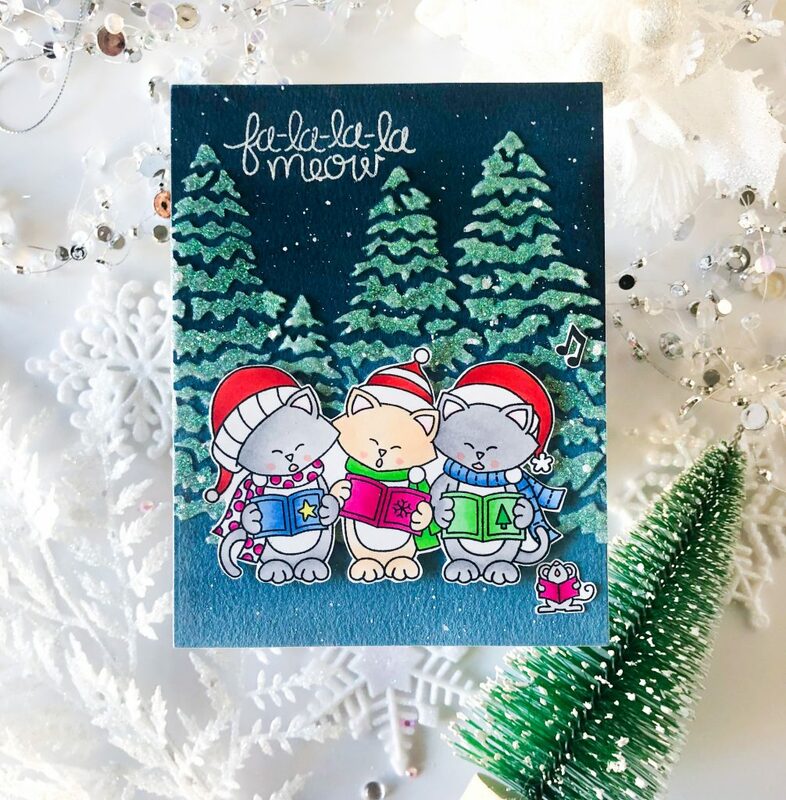 Welcome to Deck the Halls with Inky Paws Week! 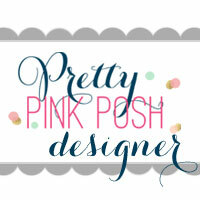 I am so honored to be one of Featured Guests for Newton’s Nook Designs Today! To create my dark blue background, I used watercolor paints over a piece of 100% cotton watercolor paper. You do get better watercolor blending results when you use higher quality papers. Then I spread Nuvo Glimmer paste over Newton’s Nook Evergreens Stencil using a craft spatula. Since it takes about 15 mins to dry, I rest it aside and started to color the image from Caroling Newton Stamp set with copic markers. 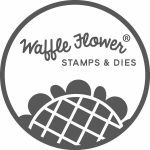 I hand fussy cut the image, but you could get Coordinating die for it to save your time. Once the paste dried, I splattered some white ink over the background to create the stars in the night sky. For bigger droplets, I used a paint brush to place them in selected areas. Oh…I guess I got controlling issue. 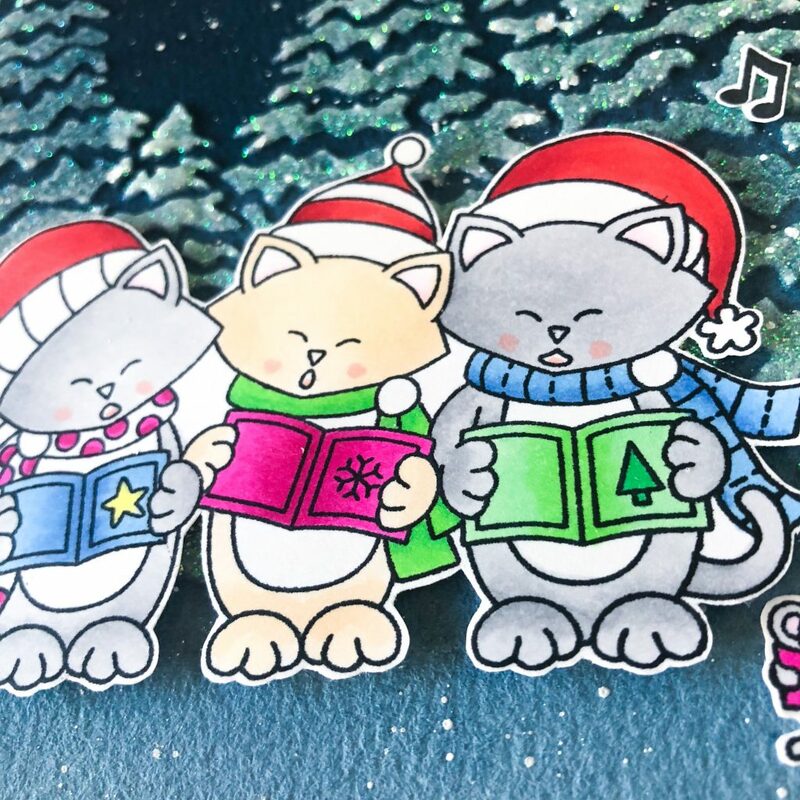 I stamped the sentiment “fa-la-la-la meow” that comes with this Caroling Newton Stamp set with Versamark ink and heat embossed with white embossing powder. At last, I arranged all carolers in front of tress to create my scene. This entry was posted in Cards and tagged Newton's Nook. This is so gorgeous! I love the glimmer paste! Thank you so much for being our featured guest today! Thanks for inviting me to this awesome event!